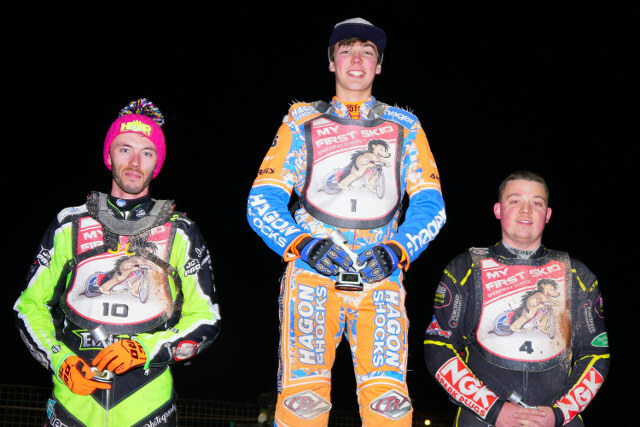 Isle of Wight’s speedway septet were in action last night in the Vince Mapley Memorial Trophy. The Isle of Wight ‘Wightlink’ Warriors speedway septet were in action on Thursday evening in the Vince Mapley Memorial Trophy. Club captain Ben Morley looked an odds-on favourite to retain the title that he took last season as the four finalists came to tapes. However lady luck deserted him as his rear wheel slid away at the end of lap three and he crashed to the track, surrendering what looked like a certain race win. Fortunately he was unscathed by the tumble. Up to that point Morley had taken five quick heat wins in style, seeing off teammate Georgie Wood and the rest of the field in impressive fashion. However the major beneficiary of his fall was young Jason Edwards from Mildenhall, who had joined the field at short notice when Danny Ayres called off with a recurrence of an ankle problem. 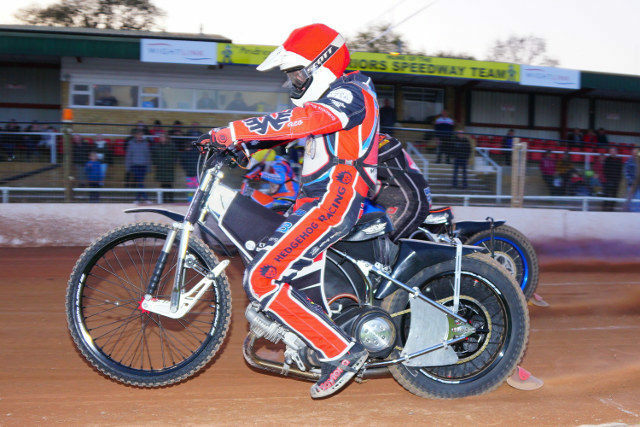 Edwards, who is just about to take his GCSE’s and a precocious talent on a speedway bike, had ridden consistently all night and was most certainly worthy of his place in the final. Sitting in a comfortable second to Morley when the Warrior fell, the youngster eased passed the stricken rider to take the trophy outright. New Warrior Georgie Wood also showed up well and looks to be a classy capture. With six Warriors riders making the semi-finals, only Chris Widman struggled with mechanical problems looking to have disrupted his night. Ben Morley 12, Jason Edwards 11, Georgie Wood 11, Danno Verge 7, Tom Woolley 7, Ryan Terry-Daley 6, Chad Wirtzfeld 5, Connor King 4, Joe Lawlor 4, Scott Campos 3, James Laker 2, Chris Widman 0, Morgan Williams (reserve) 0.